This statistic shows the travel information sources that residents of Poland considered to be the most important when making holiday plans in 2015. 47 percent of respondents based their decisions on internet websites, more than half considered recommendations of friends, colleagues or relatives. 30 percent of respondents made their holiday plans according to personal experience. 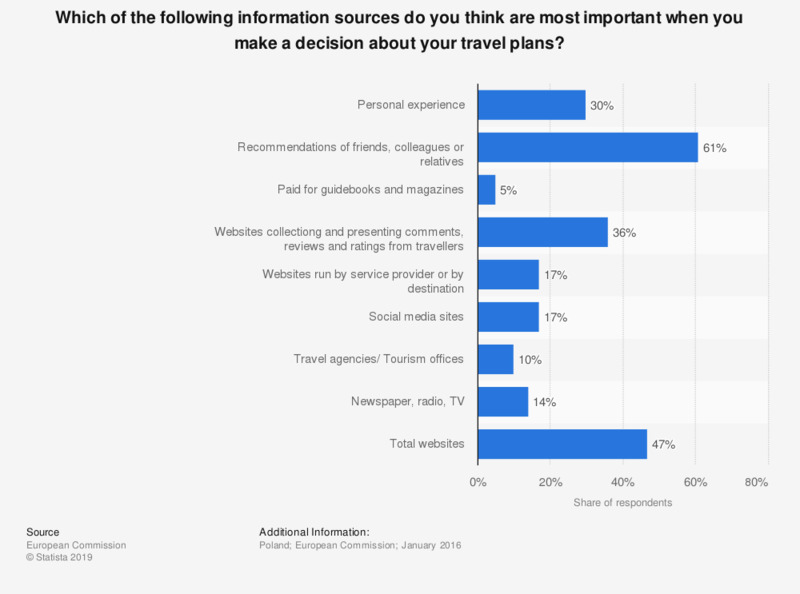 These were the top three sources of travel information for Polish holidaymakers. * Total survey respondents in Europe. Which technical entertainment device do you use to distract / entertain your kids while on the road?